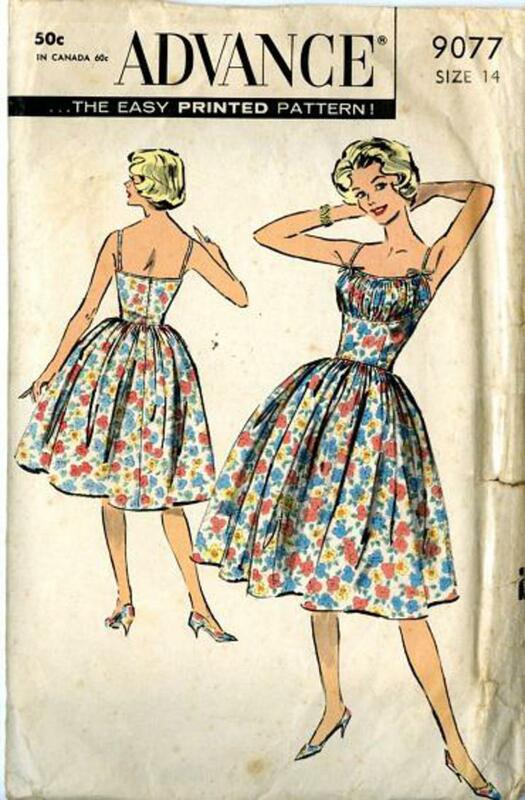 1959 Advance #9077 vintage sewing pattern, misses' romantic one-piece dress, size 14. Gathered skirt for day or evening outings. 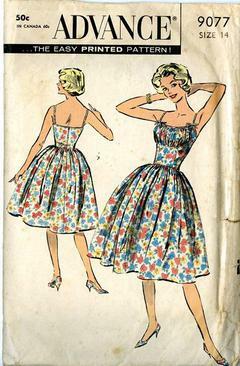 Gathered bodice front attaches to midriff which shapes up underarm, bias-cut straps have tack on bows.